For various reasons, you may wish to disclaim property that was willed to you by a relative. 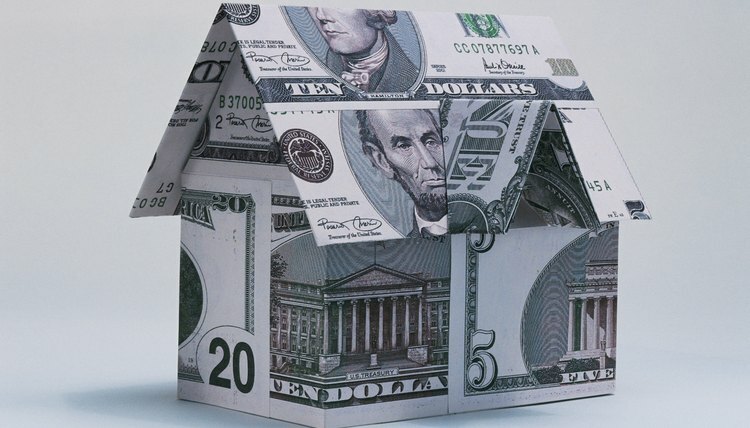 Beneficiaries may file such a disclaimer to save income and property taxes, avoid the expenses of ownership, or to pass the property on to another heir. Although a disclaimer can be a brief and simple document, it's important to follow the relevant state laws, as well as IRS rules and guidelines, whenever taking this action. Create a document, heading it "Disclaimer." IRS rules require that you prepare and execute this document within nine months of the death of the person who made the bequest. If you miss the deadline, the property automatically becomes a personal asset for income tax purposes. Complete the disclaimer by using language to the effect that you are unconditionally disclaiming property bequeathed to you in a will. Identify the will by date and author; identify the property by address and/or legal property identification number. You may not direct ownership to another person; by law, the contingent beneficiary will gain ownership. Sign and date the disclaimer. You may not execute a disclaimer before the death of the testator -- the person who wrote the will. In addition, you may disclaim a portion, and not all, of an inheritance. Have the disclaimer witnessed and notarized by a notary public, who is authorized by law to witness your signature. File the disclaimer in the local court handling the probate case, if the estate is going through probate, and send it to the executor of the estate via certified mail. If the property was bequeathed to you in a trust, and the estate is avoiding probate, send the disclaimer to the trustee via certified mail. The trustee is the individual handling the estate and the bequests; he has the responsibility to oversee the transfer of assets to the beneficiaries. What Is a Waiver of Inheritance? New York Times: "Saying ‘No Thanks’ to a Bequest"
When an individual dies, his property passes to his heirs as directed by his written will, in which he declares bequests of money, homes, land, investments and other assets to named beneficiaries. If no will exists, a probate court oversees the distribution of the decedent’s estate to the rightful heirs, usually family members, as determined by state law. During probate, it is possible for one sibling to transfer property to another under certain circumstances. A Missouri resident can write a will leaving his property -- real estate or personal property -- to named beneficiaries or he can transfer property in other ways, such as a transfer-on-death deed. However, he cannot completely disinherit his spouse. After the probate process is completed and the decedent’s debts are paid, each beneficiary will receive his inheritance as long as it was not sold to pay debts. If there was a mortgage on a piece of property, it will transfer with the property. What Happens if You Do Not Revoke a Beneficiary Deed? What Happens When You Inherit Money?